You made the decision that you want to try medical marijuana. But how do you go from the decision to the product? There are five steps to getting medical marijuana in Florida. Talk to your doctor. 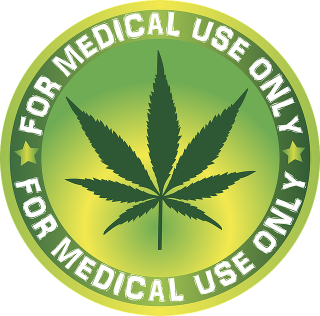 It’s important to include your medical team in the decision to use MM (medical marijuana). Work with pain management or other specialists heading your chronic disease treatment. If you feel like MM will improve your quality of life and your current physician does not, you may feel hesitant. Remember, this is your call. Every day, doctors are recognizing the benefits of MM. If you don’t get the answer that you are hoping for, ask the doctor to research the idea. Then, set another appointment to follow up. Your doctor does not have to approve of MM in order for you to seek the benefits of MM. Yet, it is important for your doctor to know. Only a state approved physician can recommend MM. 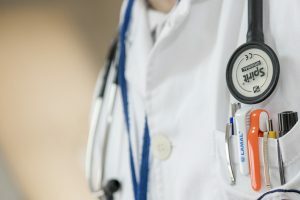 The number of these doctors is growing around the state. If you do not have one nearby, you should be able to find one within a short drive. Your medical records are necessary to show and confirm your medical condition. Allow your doctor to share your medical records. Under the current Florida law, you must show that you have a qualified condition. Select a Florida qualified physician or clinic. Only state registered physicians and osteopathic physicians can recommend MM for you. These physicians have completed the state’s continual education and testing requirements. The Office of Medicinal Marijuana Use registers theses doctors. Once you have selected a doctor, contact them for an appointment. Ask about any pre-appointment requirements. Individual clinics have their own policies. Some prefer records sent before your visit. Others prefer that you bring them with you or have them contact your physician for your records. Arrive early for your appointment. Like a first visit to any physician, you should expect forms and paperwork. Your clinic should provide you with the information about your first visit procedures. Visit a qualified physician at their office or clinic. Upon arrival, verify your information with the receptionist. You will make your payment before seeing the doctor. Expect a typical doctor visit. A nurse or other medical assistant to take your vitals before you see the doctor. The physician will review your medical condition and perform a physical examination. A treatment plan will be issued if a recommendation is made. The doctor may deny your request if MM cannot help you, or you do not meet the qualifications. Many clinics will refund you what you paid for the visit if they are unable to recommend MM. If they do not offer a refund, ask for it. If you are approved for MM, the clinic will provide you with your next steps. Often they will assist you with completing the state’s online application. You will also schedule your next visit with the clinic. Complete your registration into the Medical Marijuana Use Registry. You will need to pay the $75 fee to the State of Florida via a check or credit card. Once your application is accepted, your Portal is activated within the Registry. Many MM Treatment Centers will assist you with the registration process. They may even take your photo for you! (A recent passport style photo is required for the permanent card.) Once your Portal has been activated, you can visit a dispensary to get your MM product. You do not have to wait for the card to arrive in the mail. Visit the dispensary. We encourage new users to visit a Medical Marijuana Treatment Center in person. If you feel a hesitation, remember, the dispensaries are licensed by the State of Florida. Don’t worry! Most of these Medical Marijuana Treatment Centers look and feel like a boutique shop. They will be expecting you to have questions and are happy to help. Don’t be shy. The staff can explain the different MM delivery methods and products available to you. Remember, the flower, or bud, is not available in Florida. The staff will help you choose the products that best fit your physician’s treatment plan. Many dispensaries have home delivery options. Once you are happy with the products you have chosen, it may be more convenient to take home delivery. Right now, MM Treatment Centers are far less plentiful that doctors or clinics. As the movement grows, these dispensaries will open more locations. Remember, Florida Medical Marijuana laws are still in their infancy. If you feel like MM will benefit you or a loved one, talk to your doctor or schedule a consultation at a clinic. Don’t let the past stigma of marijuana keep you from something that is natural. If the legal forms of marijuana can improve the quality of your life, don’t you owe it to yourself to give it a try? As always, if you feel like we’ve left anything out of the article, please drop us a line. We’d love to hear from you. Have you visited a MM doctor or clinic and dispensary? Was it what you expected? Leave a comment below with your experience.